Let’s face it; your body before kids probably looks quite different than it does now. Not only does age and extra stress take their toil on your skin and body contour, but pregnancy itself can also create many unwanted features. Whether you are unhappy with your wrinkles, varicose veins, stretch marks or skin tone, you don’t necessarily have to undergo surgery to boost your self-confidence. Today’s laser technology provides an excellent option for moms (and other patients) who want to turn back the hands of time and erase some of the aesthetic concerns that pregnancy has left behind. The Palomar Icon Laser, offered at Beverly Hills Center, can improve your appearance without surgery. It addresses a full menu of cosmetic concerns, including unwanted hair, large pores, varicose veins, wrinkles, stretch marks, scars, acne and more. If you are choosing the Palomar Icon Laser as your non-surgical mommy makeover, you can rest assured that it is safe, comfortable and customizable. Its technology can be adjusted based on your individual skin type using a Skintel™ Melanin Reader. In addition, The Palomar Icon system also has features to improve patient comfort, such as increased power and cooling functions. For ultimate peace of mind, this FDA approved technology stands as one of the safest lasers available for aesthetic treatment. 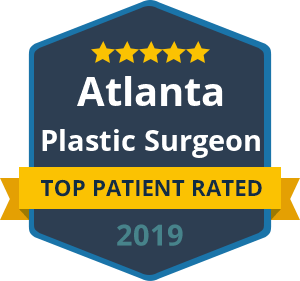 Schedule a consultation with Dr. Ben Talei to learn more about The Palomar Icon Laser and how this state-of-the-art technology can address your specific aesthetic concerns.